The late-ripening, high-yielding vine is resistant to wintry frost and against drought, It produces colorful, full-bodied, tannin and acid red wines with aromas of cherries and blackberries, as well as aging potential if expanded accordingly. 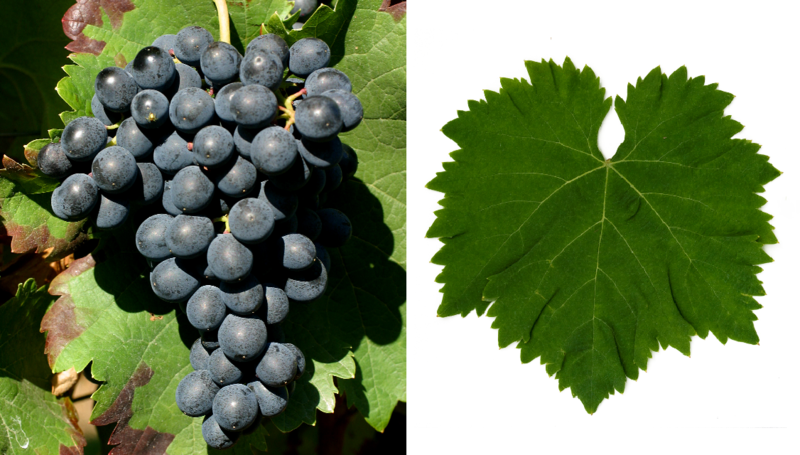 Due to the strong coloring red pulp, the variety is also like teinturier (Dye grape) used. Even with a blend of one-third white wine, the wine remains dark in color. But it is also called table grape used. Saperavi was already widespread in Georgia in the 17th century. With 4,751 hectares, it is the most common red wine there. It is cultivated mainly in the Kakheti region in the southeast. There she is the dominant species in the Appellationsweinen Achascheni. Kindzmarauli. Mukuzani and Napareuli, Further stocks existed in Armenia. Azerbaijan. Australia. Bulgaria (30 ha), Kazakhstan (428) Moldova (720 ha), Russia (716 ha) and Ukraine (1,514 ha). The variety occupied a total of 8,126 hectares of vineyards in 2010 with an upward trend (in 2000 it was 6,707 hectares). It occupies the worldwide varieties ranking the rank 83. This page was last modified at 18 December 2018 at 14:25.